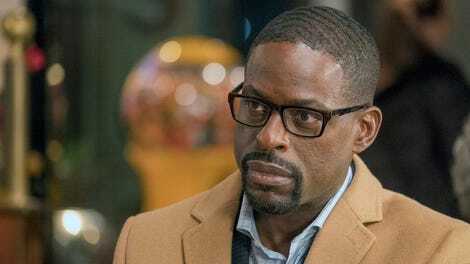 This Is Us returns, but does it realize that the Big Three are the worst? While the “death of the author” theory argues it’s the art itself, not the intentions of its creator that should matter, I can’t stop myself from wondering what kind of story This Is Us creator Dan Fogelman and his writers think they’re telling. Namely, do they know that the Big Three are kind of the worst? Sometimes I’m confident that they do, and that This Is Us is a show about how the Pearsons’ idolization of Jack’s almost repressive can-do energy messed them up so badly that they’ve all become really emotionally unhealthy adults, as explored in scenes like the explosive therapy session in “The Fifth Wheel.” Other times, however, This Is Us just feels like a corny, simplistic, tearjerking series about a family whose heroic dad gave them the tools they needed to get through all of life’s problems. Perhaps the fairest conclusion is that the show is simply trying to explore both of those ideas at the same time. Yet they’re so diametrically opposed, it can be hard to wrap your head around both at once. I feel like a broken record given how many times I’ve repeated it in these reviews, but I continue to be utterly baffled by Randall’s political storyline. The mid-season finale at least seemed to imply that the show was aware that Randall’s political goals were misguided—setting him up for an arc about chasing the wrong dreams at the expense of his family. Instead, “The Last Seven Weeks” feints at following through on that idea only to pivot to a story about the fact that Randall is the most perfect human being of all time. In fact, it turns out he can easily balance the demands of being both a city council member in another state and an active parent at home. The only thing he needed to succeed was for Beth to shut up and be supportive of his unrealistic dreams! Okay, that’s a somewhat unfair summation of a slightly more nuanced storyline that’s elevated by characteristically great performances from Sterling K. Brown and Susan Kelechi Watson. But it’s still incredibly frustrating that after building a fairly effective case for why Randall’s city council run was a mistake, this episode swerves to become a story about Randall magically acheiving all of his dreams by virtue of having a good heart (and/or maybe because Jack is guiding him from heaven). It’s a simplistic, Pollyannaish wrap-up to Randall’s election arc, and while I suppose we could still be in for a story about Randall’s political aims being far more than he bargained for, I’m really tired of taking a “wait and see approach” with a storyline that’s been a huge drain on this season. The only silver lining is that at least this means we’ll get to see more of Tim Jo’s always endearing Jae-Won. Elsewhere, Kate is stuck in a sitcom-y plot about accidentally selling Toby’s beloved Star Wars action figures and then struggling to buy them back. There’s a fun scene in which Kate shamelessly uses her pregnancy and childhood traumas to try to guilt trip the college-aged buyer into giving them back, and I also enjoyed Toby’s immediate ability to tell that Kate’s replacement action figures weren’t his own set. But the whole thing mostly feels like a missed opportunity to add some emotional heft to this season’s exploration of Kate and Toby’s relationship. As someone with an incredibly intense emotional attachment to the few sentimental items she has left from her childhood, you’d think Kate would inherently understand Toby’s similar feelings towards his own possessions. Yet the casual way she demands he “sell his toys” and her relative calmness when she learns she accidentally sold his prized possessions make her seem unflatteringly unempathetic. I mean, yes, Kate clearly feels bad about the accidental sale, and she goes through a lot of work to try to get the action figures back, but it never really feels like it’s all that big of a deal for her or that she truly tries to understand why Toby feels the way he does. What could be a prime chance to challenge the status quo of Kate and Toby’s relationship—particularly the dynamic wherein Toby does a ton of nuanced emotional caretaking of Kate’s hyper-specific emotional triggers, while she offers very little in return—is instead mostly just a sentimental runner that wraps up with the same corny earnestness as the Randall storyline. Toby easily forgives Kate and then offers a grand gesture of his own, to which she responds in a way that entirely centers her own emotions with zero interest in Toby’s. He literally has to call Kevin for advice when Kate refuses to speak to him for five minutes because she’s so... happy? That’s not exactly the best example of healthy communication in a relationship, yet I think we’re supposed to see the whole thing as sweet and funny and romantic. The most successful part of the episode is the Kevin storyline, mostly because Kevin is the member of the Big Three that This Is Us has always been most willing to criticize. Kevin went from being one of the show’s weakest elements in the first season to one of its strongest elements in the second and third because the show really took the time to delve into his flaws and show his slow process of dealing with them—a process that, crucially, still feels ongoing. Like the Randall and Kate storylines, Kevin and Zoe’s brief relationship strife and eventually reconciliation is a fairly simplistic story that too easily recontextualizes Kevin’s flaw as a strength. (It’s good that he continually pushes Zoe into upping the seriousness of the relationship, even when she doesn’t seem ready for it!) But at least the “win” feels like it’s building on work we’ve seen Kevin do on his own and the two of them do as a couple. 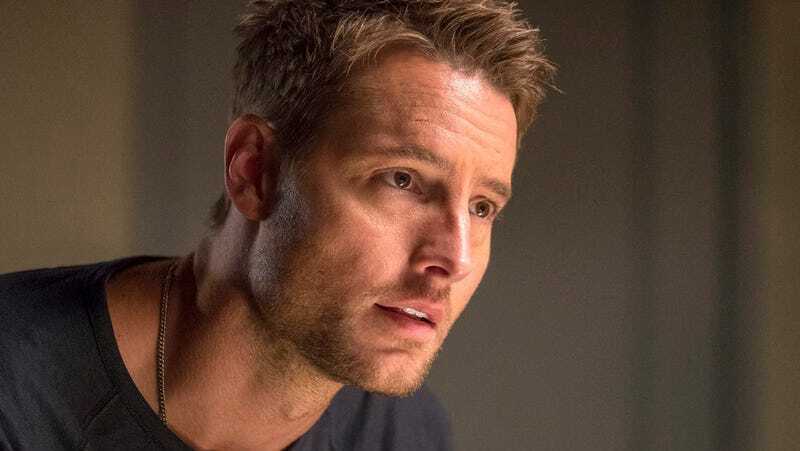 Like a lot of mid-season premieres, “The Last Seven Weeks” clears the emotional decks from the first half of the season to offer a fresh start as we delve into whatever kind of emotional rollercoaster will take place in the second half. It’s an easy, reassuring episode to watch—structurally competent, well-acted This Is Us comfort food. But in a wildly uneven season that’s had some stellar highs, it’s a little disappointing to watch the show kick off the new year with a relatively middling effort. A note on grades: This is the lowest grade I’ve ever given an episode of This Is Us, which is less so about this being the worst episode of the show (it’s not) and moreso about the fact that I feel I’ve been grading this series on a slight curve and I’d like to move away from that. The idea that Jack knew Nicky was alive seems to emotionally undermine every single post-Vietnam storyline we’ve seen with him, but I guess we’ll have to wait and see how the show handles it moving forward. I wonder if the Jack/teen Randall scenes were unused footage from “Number Three” or if they were filmed specifically for this episode. Regardless, they were a nice grace note throughout the episode. Teen Randall’s fears about his future work/life balance felt delightfully in character, as did Jack’s response. The whole plotpoint about Randall deciding not to use the drunk driving smoking gun against Sol Brown was deeply unnecessary. Also, I’m not sure that exposing a politician paying off the police force to hide his illegal/unsafe actions would actually be playing dirty politics. That casts Sol in a far, far more negative light than his inability to magically fix his underfunded district overnight. After Kate buys a set of Star Wars action figures, Toby notes, “They must have cost you a fortune.” So does Kate somehow have her own money separate from Toby’s income? I’m hoping that the introduction of Beth’s New Year’s Eve blueberry pie tradition and the story about her shoe store breakdown are hints that this season is finally gearing up to dive into her past and her courtship with Randall. Deja admitting she found Anderson Cooper hot was easily the best moment in the whole episode. More Deja please! Contributor, The A.V. Club. Caroline Siede is a pop culture critic in Chicago, where the cold never bothers her anyway. Her interests include superhero movies, feminist theory, and Jane Austen novels.